A set of 3 freestanding lace machine embroidery designs. You can use this fine Battenburg lace edging to decorate your place mats, table runners, table cloth, pillow cases or curtains. 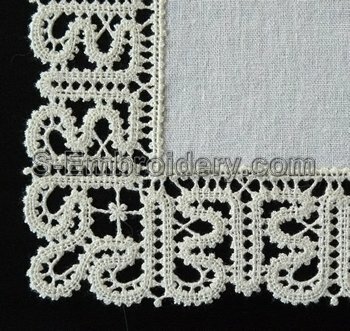 The combination of 1 corner and 2 lace border designs with a different size allows maximum flexibility. 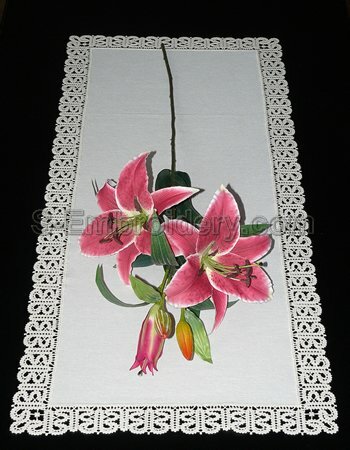 The set comes with instructions for creating the table runner shown on our web site.